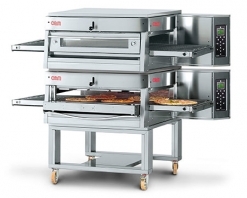 Commercial ovens are the most widely used appliances in the food-service industry. Keeping them in good working condition is vital for the success of your business, as well as health, safety and happiness of your customers. By doing preventative maintenance for your commercial ovens, cook tops and ranges, you can spare yourself the trouble of costly repairs or replacements. Oven temperature is not hot enough. If your oven is over or under-heating, you may be dealing with a broken thermostat. Or, your thermostat may need recalibration. Food Is not cooked evenly. 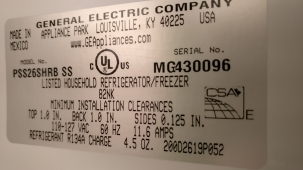 When it comes to ovens, improperly installed thermostats can lead to unreliable temperature readings, unevenly cooked food and unhappy customers. The pilot light won’t stay lit. If your pilot light won’t stay lit, it can be caused by the failed thermocouple or safety valve. A trained technician should handle this repair. If you are dealing with any of these problems, please don’t hesitate to call in the experts from Sunny Appliance Repair, so our technicians can fix them for you. Commercial oven repair service – contact us when you will need it! The oven is the device which is quite reliable. It is able to serve without any problems for several years. Then the certain period comes when it is needed to change individual parts (heaters, fuses, timer, thermometer, control unit and so on), which leads to malfunction of the device as a whole. The commercial oven repair is characterized above all; by the ability of master correctly to identify the cause of the fault, that is unmistakably to identify the failed part. Then it all comes down to repair or complete replacement - and the oven will continue its work. Very often switches stops to work, and the electric oven doesn’t heat. The procedure of "treatment" in this case is simple; we will just replace the parts. Less often the culprit of the same effects is burned heating coil, and it is also requires to be replaced. Also often fan inside the oven is broken down; usually in this case, we simply check its contacts, and it will work. The common work of commercial oven repairs also includes sealing external doors or internal glass of the oven, repair or replacement of the electric circuit, replacement of the buttons. 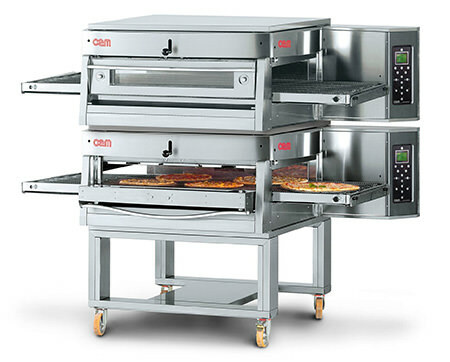 Our team has everything you need to ensure you high quality and fast commercial pizza oven repair. If you need to replace the item, be sure to get the most suitable option: we offer spare parts for ovens from producers and give them assurance. We provide the repair service wherever you need. Because we understand that commercial ovens can’t be replaces too many times. This means that you need not worry about the transportation or delivery of the broken oven, because it takes too much time. Our worker will come to the place which you will discuss with all equipment for repairing. Commercial oven repair cost is available and comparatively cheap.